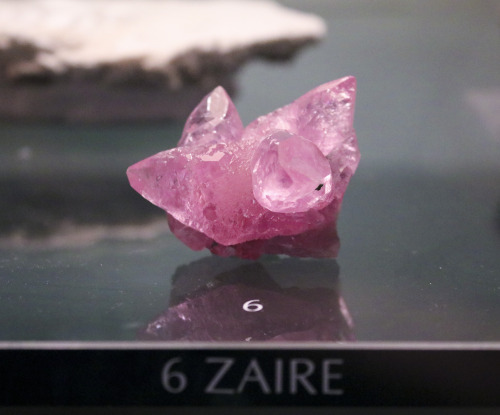 This pink calcite was collected in Zaire. Calcite in its pure form is colorless. However, ionic substitutes or mechanical inclusions of other materials cause calcite to occur in a wide range of colors like this pink specimen.